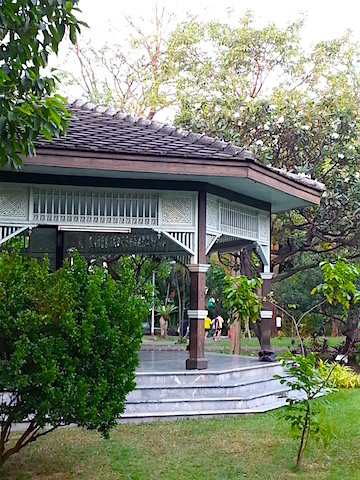 Tucked away behind the Grand Palace and Wat Pho, Saranrom Park is the green lung of Old Bangkok. 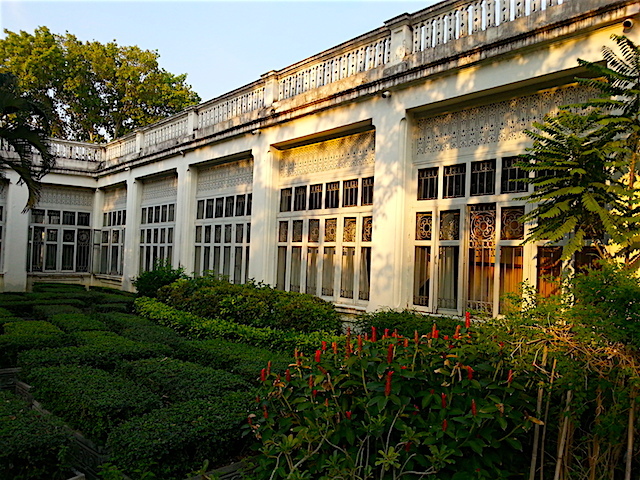 Saranrom Park was once the private garden of Saranrom Palace, the residence of Rama VI (r. 1910-1925) when he was crown prince. It became a public park after the "Revolution" of 1932, when the absolute monarchy was transposed to a constitutional one. Today it's a lush, cool, shady green spot in the congested old city. Locals make great use of it, especially in the early morning and early evening when temperatures are at their coolest. 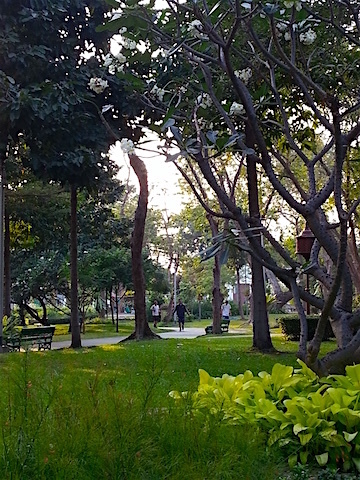 Joggers in Saranrom Park shortly before dusk. The park's amenities include walking paths, fountains, benches, and an open air gym. It's somewhat dilapidated. Maybe someday the authorities responsible for the park will undertake to restore it. There is a tragic tale attached to this monument. Queen Sunantha, the first queen of Rama V (r. 1868-1910), was boating at the summer palace in Bang Pa In when she fell overboard with her baby daughter in her arms. Royal protocol forbade the touching of royal personages, so the courtiers and servants looked on helplessly while the young queen, herself only a teenager, drowned with her infant. The King was grief-stricken and had this memorial erected. I'm not sure if this was its original location. If anyone knows, please comment below. The King later fathered Rama VI on Sunantha's younger sister, Queen Saowapha Phongsri. The present King of Thailand, Rama X, is descended from Rama V and yet another sister of Sunantha, Queen Sawang Wattana. 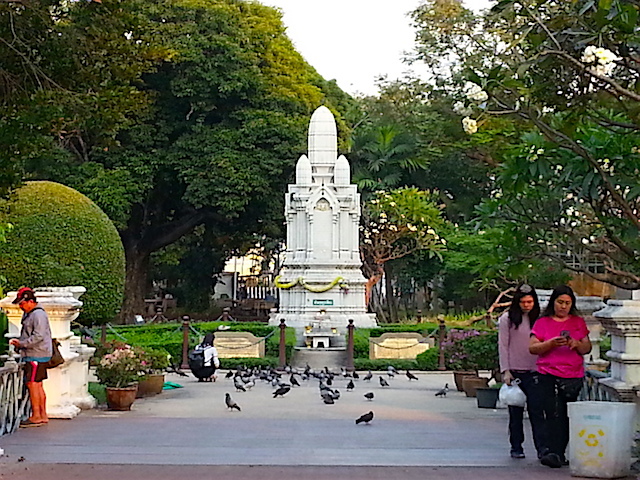 The little-known museum of Rama VI is across the street from the park, in a military building behind Wat Pho. His statue is clearly visible through the entrance arch. A sentry may challenge you, but just say "Museum" and he'll let you pass. The museum is on the upper floor. Take off your shoes before you go in! 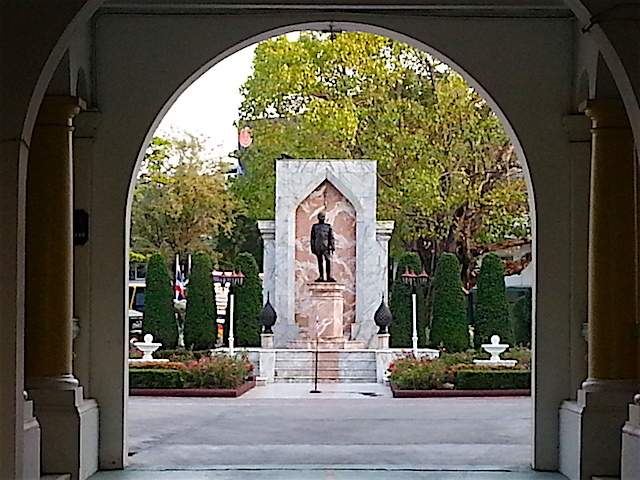 The statue of Rama VI in the courtyard of the army building that houses a museum in his honour. 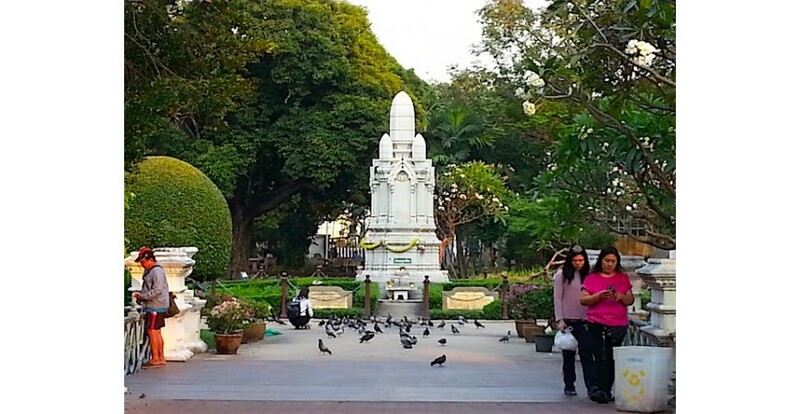 Saranrom Park is one of my favourite places in the old city. I always used to come here for a quiet sit whenever I was in the area. Did you know that Lotus & Persimmon is on both Facebook and Instagram? Please 'like' and follow! 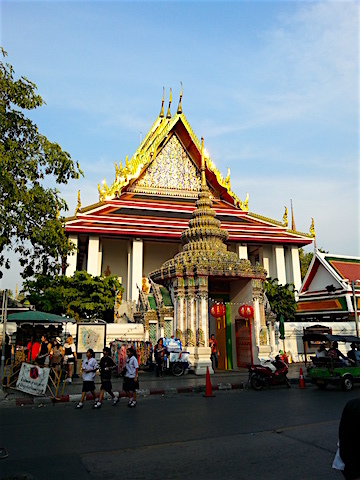 Wat Traimit houses the Golden Buddha and the Bangkok Chinatown Heritage Center. 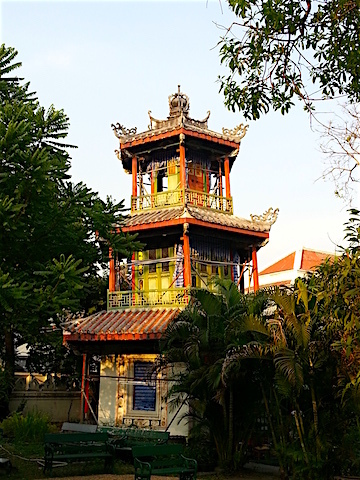 Ringing in the Year of the Monkey in Yaowarat. 2017 Lunar New Year's greetings from L&P to you. How L&P spends an evening in Bangkok's Chinatown.